Most seasoned dog owners are aware of the common dog behavior issues, however, new ones may puzzle over why dogs display these behaviors. Some of the typical dog behaviors that are regularly misunderstood and mishandled by dog owners are: barking, biting, chewing and many more. If you are new to owning dogs, deliberating over getting a dog, or would like to better control your dog’s behavior problems, always remember that fully understanding the most usual dog behavior problems is the most crucial step to solving and averting them. Moreover, you can try professional obedience training if you want to be able to immediately prevent or better deal with your dog’s behavior problems. If destructive behavior is not set right immediately then it can bring about wide scale destruction of your personal property, medical problems in your puppy, and the eventual destruction of the human-animal bond. Below are some of the most essential tips that you should be aware regarding correcting bad dog behavior. Rectifying your dog’s unacceptable behavior should be a long-term objective, nevertheless, the first step in this direction is to make the present behavior cease. The ideal way to do that is to take away from your canine companion any incentive to go on with its unacceptable behavior. For example, if your dog barks by your door when it wants to leave the house to play, and you frequently open the door to let it out, it is a form of reward for your dog’s barking. To improve this behavior, you can try ignoring your dog when it barks and only let it out when it is able to sit at the door without a sound, even if it can only maintain this good behavior for a moment initially. You can also try a no pull dog harness. Separation anxiety is the term employed by many veterinarians and trainers to pertain to dogs who go berserk without any human presence, attempting to devastate their surroundings, barking and crying wildly, and otherwise produce chaos. To fight this reaction, make certain that you give your dog time to get accustomed to your activities by beginning small and ensuring that the experience is a wonderful one. Without producing a significant fuss over it, try to leave the house. Set your dog in his crate or a confinement room with his fave chew toy, ensure that there is relaxing music on, and then, pick up your things and go out the door. Walk around the house wordlessly, and spy on what your dog is doing without informing him of your presence. Give him several minutes, depending on what his behavior is when you leave. If he does get distressed, be sure that he has some time to settle down. Buying dog toys and accessories like dog beds, dog kennels, dog house and dog collars, are kind of tiresome and money-consuming. They truly take some amounts from your pocket and if you are not very thoughtful, they can get your compromised your basic necessities just for your favorite dog breeds. Sometimes, buying for the right dog items may not be that easy due to numerous options that can be seen from the market. But there is a way that you won’t be able to experience all of these setbacks. And that’s why this article is here. Please spare a bit of your time to check the tips on how to buy the right toys and accessories for your canine below. Regardless of what item you want to purchase for your beloved pets, whether it is a dog crate, a dog harness, a dog food, dog tags, or any thing for dog grooming, it matters a lot of know ahead of time where is the best store to make a purchase. As is usually the case, a good store makes your shopping experience good too. The experience of being short on products depend on where you decide to buy the things that you need. Even pricing and product quality can both bounce to the kind of store that you pick. If you fail to select the right pet store, you know you will not be totally happy with your purchases. Each and every time you face the necessity to purchase dog training supplies or dog grooming items, you have to be careful with making a choice in between various brands. There are always something good and bad about a dog supply manufacturer. It is now your responsibility being a shopper to determine which brand can be relied on. Some brands are proven good through labels. Reliable brands are those that provide valid descriptions and credible instructions in their labels. But faking of labels is not something you should not expect when it comes to manufacturers, so you should be extra cautious. It will be helpful to collect information from a wide variety of sources. There are instances where purchasing for different pet supplies becomes tough, knowing that you have never been a dog. The thing that you have to do at this point is to expand your understanding toward your pet. Irritation and feeling of cold are just two of what pet dogs can feel. If you feel for your own pet, it will not be that tough to determine the best and the right pet supplies to invest on. It often comes as a challenge to purchase the right dog items. But if you go having gotten your guide, things may no longer be that easy. Always be mindful that you all you have to do in this process is to know what supplies to buy, from which store to purchase them, and how to do the selection process. Though we often know that fleas are worse during summer, there’s still a chance that they will invade your house during winter seasons. This in fact is true because even fleas are looking for a place that’s warm and cozy during winter. When you find a flea on your dog or cat, there’s a big chance that there’s more inside your home. The fleas to which you see are adults and just makes up about 1% on the overall flea population that’s inside your house. Getting rid of the fleas that you just find on your pets is not enough because you should also consider eliminating all of them inside your house so you are able to get assurance on a total eradication of fleas. You probably think that flea season is over already, but they may just be lurking around in your house as an egg or larvae which is waiting for its full development and waiting to attack you in the future. This in fact is the reason why it’s also very important to be vigilant all year round, especially for people who are living in temperate weathers or with where their winter is warmer. Though treating your pets is only a start of the process, it would need more in order to keep your house free from such pests. It is important that you handle both the environment and pets so you are able to keep both your pets and your family safe. The process of cleaning and vacuuming your furniture and bedding and disposing off the trash is only one way to eliminate the larvae or eggs, but it is crucial that you get professional help in order to eliminate the infestation. Through the process of having your house inspected and treated by a professional, it will help a lot to eliminate the issues in the future. If you use the DIY option and use the products that are found in stores, there’s a chance that it could end up ineffective and could potentially risk the health of your pets and your family. The professionals actually uses only the safest and most effective chemicals for the job and also have the right equipment to use. They also know the right concentration use of the chemicals safely and also suitably for the kind of situation. The DIY options just gives you more time to spend attempting to treat the problems yourself with sprays from the stores and only end up unsuccessful. This entry was posted in Pets & Animals on September 24, 2017 by aniqe kusumawati. What To Consider When Looking for Good Dog Food. Dogs always require to have something to eat just like humans and if you have one you can confess how hard it is to get good food, right? That is why you have to take sometime to look for the best dog food available without getting some bad crappy food, in this article we have come up with some things you need to consider when looking forward to get some good dog food for your dog. Additionally, there are so many challenges when it comes to getting some good food which is a challenge for many, that is why you have to put some effort in looking for good food, right? Never settle for dog food that you will end up complaining about, get a good dog food that you will enjoy and love in the long run, here are some of the factors you need to consider. Always Ensure You have a Budget. No one is crazy enough to end up going to a dog store without having a budget already, you know? That is why you have to always have a budget in mind so that you are not messed up when you are going out to look for some good dog food, if you are looking for some Top Of The Pups dog food, then you will get them as long as you do not end up spending millions in the store. Look for some After Sale Services. Have you ever asked yourself Which Is The Best Dog Breed For Your Family? Because the sad thing is that so many dogs end up taking a lot of food which may not be good for your pocket, in fact, it may make you break your bank and that is why the other thing to consider is after sale services which is dependent of the breed you have right? Always look for a place that offers amazing after sale services, do not settle for any place that end up costing a lot of money while you can get the same services at a cheaper price. Skills are important and one of the thing you have to consider in a shop is whether there are some expertise from the store from people who work there, because who wouldn’t want a professional person or people? It is pretty easy to work with person with some skills because you are assured of security and safety in the long run, consider it as a Fostering A Dog: A Smooth Transition For Pup And Owner process, well not that complicated anyway. Brand of the Dog Food There. Brand of the dog food should be considered too, you must always have the brand you want to buy in mind as this also facilitates the process of getting the right kind of dog food, some brands offer the best dog food you have ever taken, one of the thing you have to look before the brand is Easy Ways to Create a Dog-friendly Dwelling, so that you get that in place before getting the dog food you wanted. The level of Quality of the Dog Food. Looking for the best Paw-Fect Dog Breeds For Young Children? Well, then consider getting a good shop that provides some quality food and you will not end up complaining of the quality of food being provided there, this will help you in turn get some good food you cannot throw out, you will, enjoy giving this food to your dog. Alternating feeding the dog package dog food, by cooking dog food at their homes. Tips to learning making homemade dog food are. As a dog owner it is important to know what makes a healthy dog diet. Many people assume dogs diets should be made out of meat only which is wrong. Veterinary officers usually are a good source of information on the food substances suitable for dogs. What is a dog owner you need to know when preparing dogs food is the approximation of the percentage of proteins, carbohydrates, and other food substances is required to make the meal well balanced. Also dog owners should know food spices and salt are not useful to the dog food. Pet owners should also be aware that animals prefer food served at different temperatures from human beings. This entails consultation on whether to serve the food immediately after preparing or to wait for some time for it to cool down. 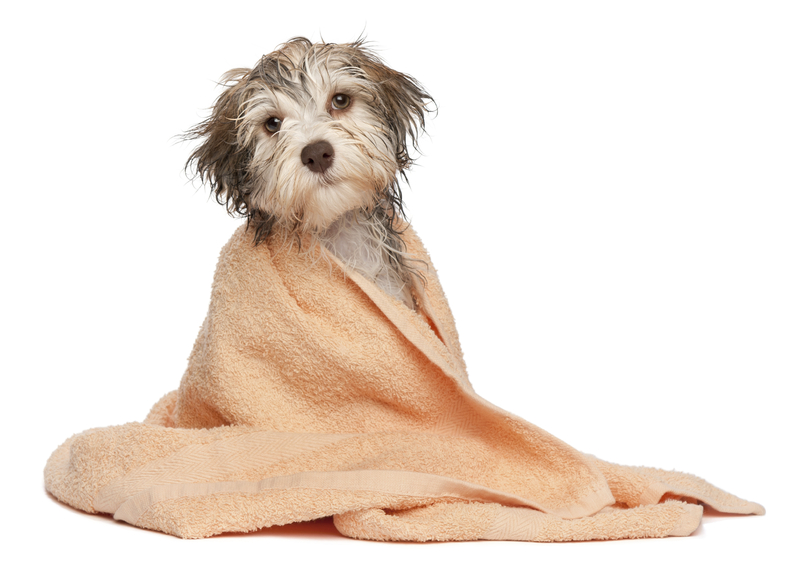 Use search engines to find websites offering dogs grooming guidelines. Several dog’s experts have published online content on the best ways of grooming the dog depending on the periods of time. There are dogs experts who have to develop video tutorials on grooming instructions. Dog owners should also learn about the best grooming products. They are usually different depending on the nature of the dog’s fur. It is essential to know that the dog may be resisting grooming, due to being uncomfortable with the products you are using. This entry was posted in Pets & Animals on September 7, 2017 by aniqe kusumawati.